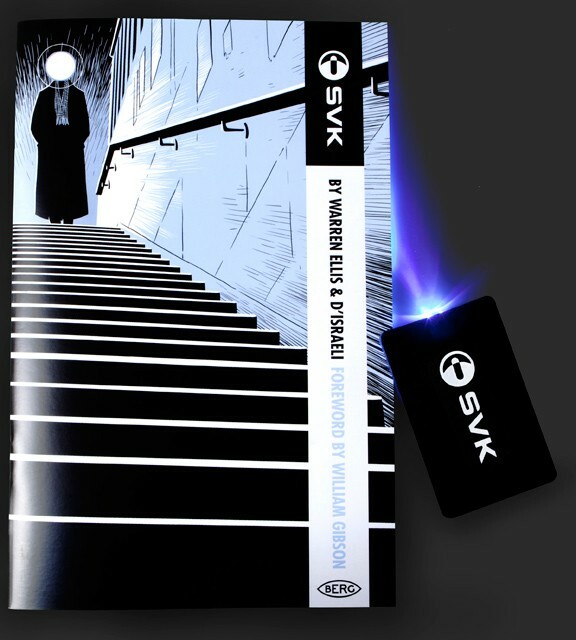 SV K is a brand new comic book/marketing concept/technological breakthrough/interesting gimmick by Warren Ellis, (well-known comic book writer/sociocultural transhumanist bon vivant), D’Israeli (well-respected comic book art messiah named after a dead British Prime Minister), and BERG (design company that seems be just a little too clever for their own good that I’ve never heard of before but my wife probably has since she reads Monocle and they seem to be the kind of company that would be liked by someone who reads Monocle). 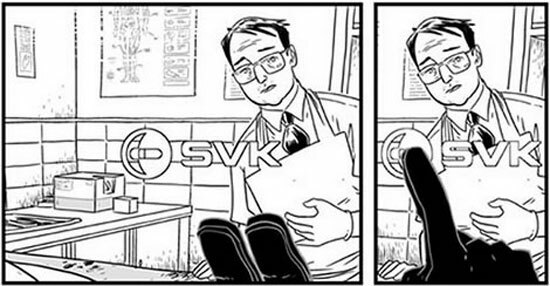 Apparently the folks at BERG went to Ellis with the basic premise of the comic, which is privacy, and secrecy. Or the lack thereof. And whether or not privacy is something that CAN ever matter anymore, no matter how much we want it to. Familiar concepts for Ellis, and so he made the perfect mad scientist for this particular experiment. Oh, and did I mention that it’s not just a comic book? The book (which is ONLY available at the Berg site, and did I mention it’s sold out, and with shipping cost me more than a Michelle Bachmann lap dance?) 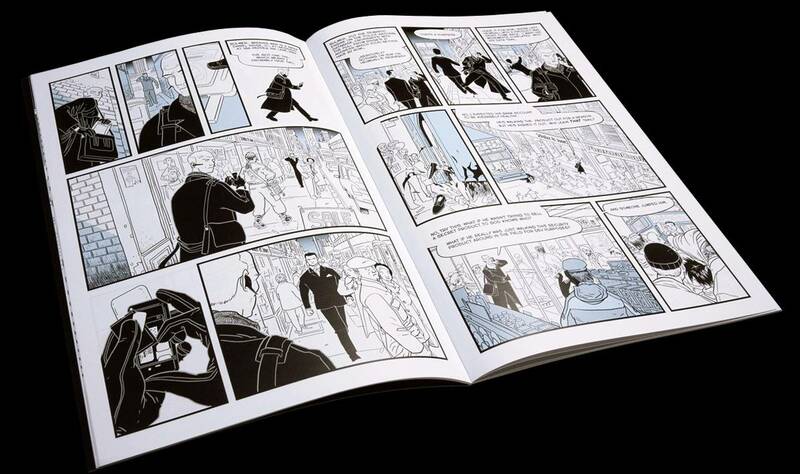 actually comes with a UV torch, which in theory you shine on the pages, giving you access secret text, art, and thought bubbles that expand the horizons of the story. Sounds like a great idea right? It is. Or it would be, if the goddamn thing worked. Apparently, there seems to quite a few people who were shipped faulty torches, and I seem to be one of them. Or I’m an idiot that can’t figure out how to use a glorified flashlight. One of the two. So I should wait right? Let the folks at BERG send me a new torch, and wait till then to read the book, since it was obviously meant to be read with the torch. Yeah, but that would involve patience, and homey don’t play that. So I read it. And it was good. Quite good, in fact. I was on the fence about buying this, but I read a post of Ellis’ that stated that he thought that this was the best thing he had written in a few years. While Ellis is one of the most prolific web-posters in the comic world, he’s quite critical of his own work, and he’s not one to blow his own horn without good reason. And so my reasoning was that if Ellis thought it was great, and I like Ellis, than I’ll like this. And I do. I’ll delay on giving a FULL review of this for now, but even without half the text, it’s a well-written techno-thriller that I liked mostly because of how restrained it is. Ellis is known for many things as a writer, but subtly isn’t always one of them. But he’s pulled himself back here, and really worked on writing an interesting story first, gimmick/treatise on the positives and negatives of secrecy in a post-smartphone/CCTV world second. In short, it’s a good story. It doesn’t have the bombast/action/mind-blowing sci-fi concepts that the fans of Ellis’ work like Authority, Planetary, or Global Frequency have come to enjoy and expect, but if it’s Ellis’ masterpieces Fell or Desolation Jones you enjoy, this is a book well worth your time. And I need to mention the art. Do I ever. Matt Booker is one of my all-time favourite comic book artists, but I forget that most of the time. His work isn’t that well-known over here, but anybody that has read Scarlet Traces will attest that he’s one of the best comic artists that the UK has. He’s the perfect foil for Ellis here, with work that’s both highly descriptive yet still so subtle that I found myself reading the book without text, just to fully grasp what he’s doing. Is this likely to change the way comics are consumed? Nope. It’s just too expensive, and the only reason this sold as fast as it did was that Ellis’ name was attached to it. A business model based on $30 comics that you have to wait 2 weeks for isn’t really sustainable. But as an interesting, and ballsy experiment that just also happens to be a very good comic book, and that uses it’s gimmick as an integral part of the story? Absolutely. This entry was posted in Comic Books and tagged Comics, SVK, Warren Ellis. Bookmark the permalink.